Article updates added below, including new unboxing pictures and video. 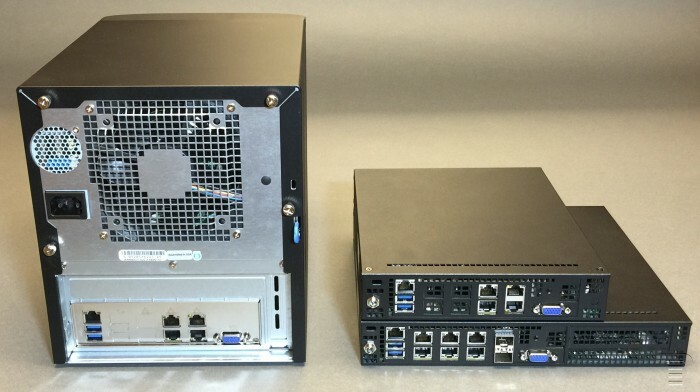 Since spotting new arrivals at Supermicro's New X10 UP Server & Storage Solutions site, interest for big images of these little server beasts has been considerable. Today, no need for more words, other than a tip for TinkerTry's new photo gallery: click once on a picture for a gallery view, twice to really zoom in and pan around, or use the full screen icon at top-right. Here you go, all the (stock PR) pictures, in their full resolution glory! 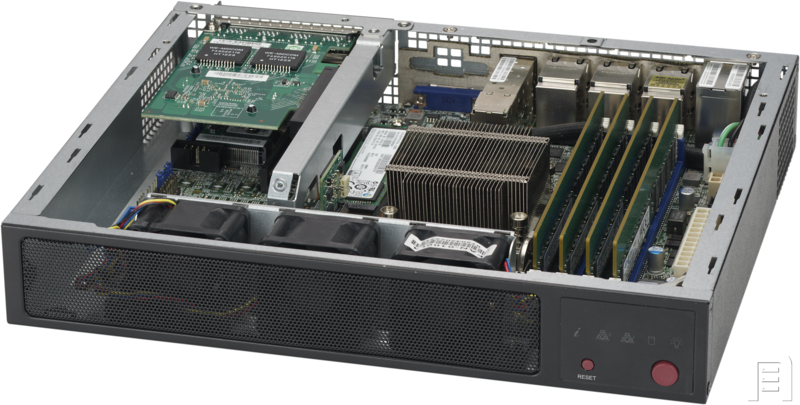 Supermicro SuperServer SYS-E300-8D, front angle. 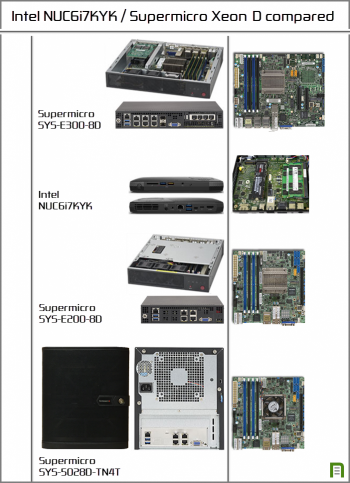 Supermicro SuperServer SYS-E300-8D, back. Notice at the left edge, there's a DC input for an external DC power brick. 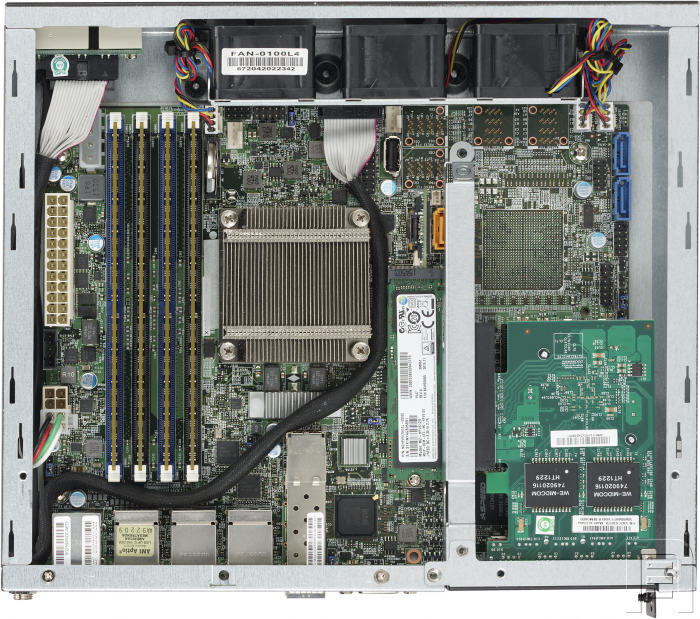 Supermicro SuperServer SYS-E300-8D, top. Notice power, only the DC 4 pin connector is used, with short cable to the backplate input. 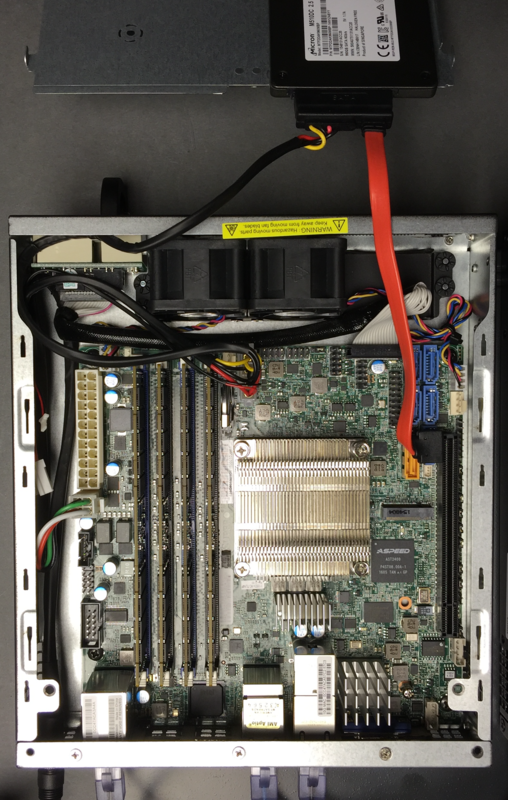 Supermicro SuperServer SYS-E200-8D, front angle. 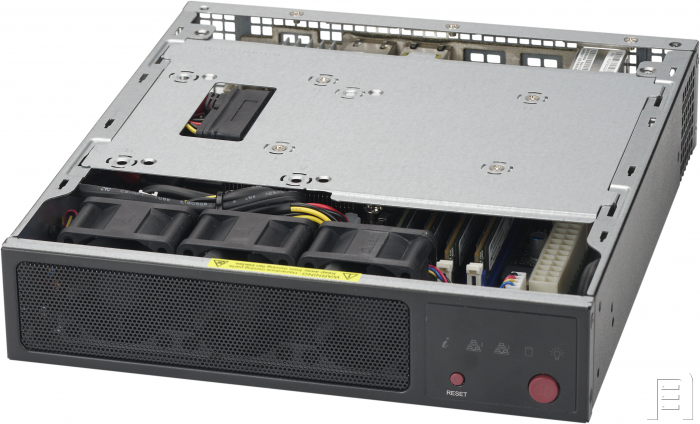 Supermicro SuperServer SYS-E200-8D, back. Notice at the left edge, there's a DC input for an external DC power brick. Supermicro SuperServer SYS-E200-8D, top. Sure wish Supermicro had taken this shot with the inner shield removed. Hopefully I'll have an eval. unit soon, to share a look inside with you. 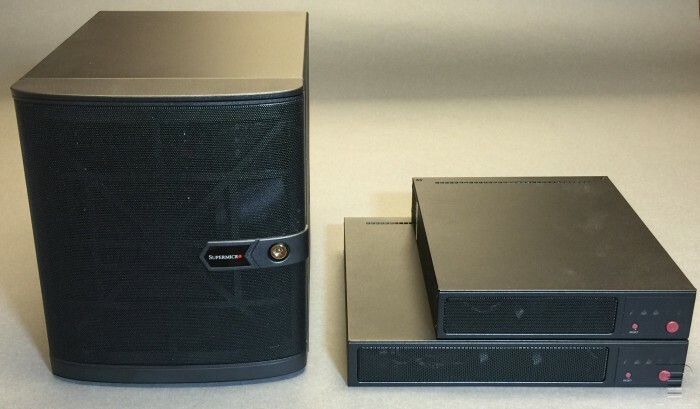 I received 2 loaner systems today, a first-in-world SYS-E300-8D and SYS-E200-8D 1U mini systems. To my surprise, they look better in person than the stock PR photos above! It was a busy day for many other reasons, so I only had a few minutes to grab and share some video and pics. Worry not, there will be better pictures and more video. I'm just getting started, with plans that include measurements of weight, watt burn, and TinkerTry-visitor-requested dB output from front and back. 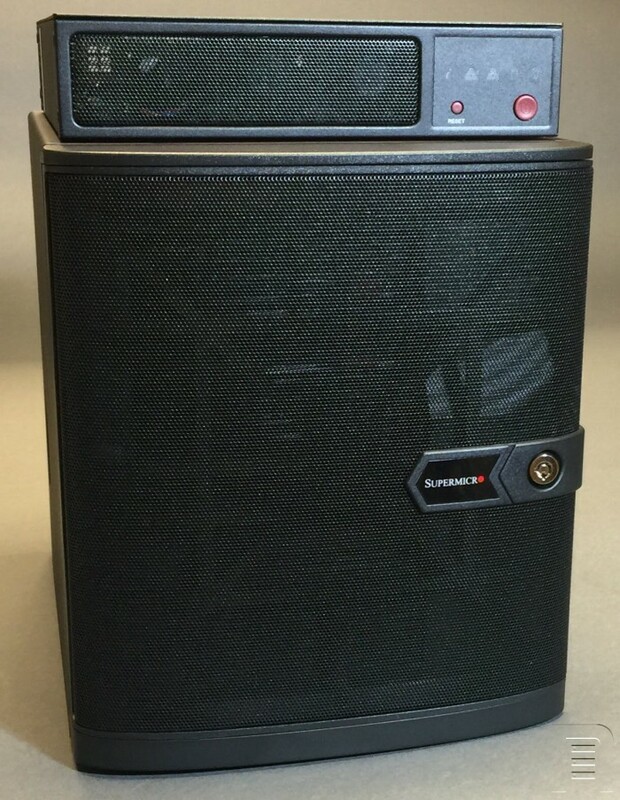 I finally have a picture for you of the SYS-E200-8D with the cover off, and with the inside lid off. That's a 2.5" SSD seen attached to the underside of the flipped-back lid. TinkerTry First Look - world's first Supermicro SuperServer SYS-E300-8D and SYS-E200-8D unboxing! This unedited, unscripted footage was published on July 27, 2016.